Note: Note second Sherman family connection in the Stebbins Ancestor section, Miriam Sherman married Ruel Stebbins (7th Generation). 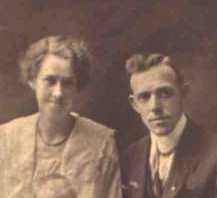 She was the daughter of Timothy Sherman and Sarah Lumbard (Chamberlain) Their sons included Carlton Luke, who introduced the family name "Carlton" and "Sherman" as given names in the Stebbins line. Copyright © 2007-2011 Roger Carlton Sherman. All Rights Reserved. Selected photos may be the property of other family members.